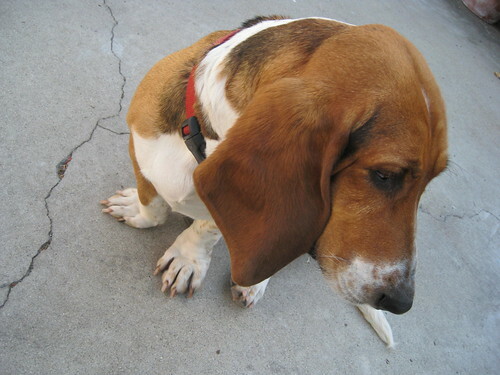 Xylitol And The Basset Hound | Dawg Business: It's Your Dog's Health! Matilda is a four-year-old spayed female Basset Hound. Sometime within an hour before she was brought in, Matilda had taken a package of gum off the counter and eaten or chewed up about half of the package. Matilda’s owner did not expect us to say gum could be dangerous for dogs, but she called us (gum wrapper in hand) because she did not know for sure. What seemed like a pretty innocuous event was indeed a medical emergency! She brought Matilda to the hospital as quickly as she safely could. She had no abnormal physical signs on presentation. A complete blood panel was done. Matilda's glucose level was down to 60 mg/dL. (Normal 70-150). All other parameters, including liver values, were normal. Vomiting was induced and anti-emetics given to control the vomiting after treatment. Activated charcoal was given by mouth to absorb any remaining toxin in her gastrointestinal system. Matilda was given a meal after treatment, and her blood glucose returned to normal levels. She returned in the morning for a physical exam and glucose recheck. No physical abnormalities were noted, and glucose levels were normal. What could have happened if Matilda wasn't brought in and treated as fast as she was? Xylitol is a sugar alcohol that is used as a sugar substitute in many products including gum. Xylitol is also sometimes used as a sweetener in compounded drugs. 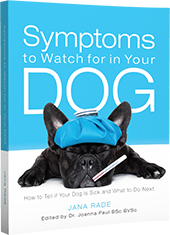 What makes a medication palatable for a child could be deadly for your dog! 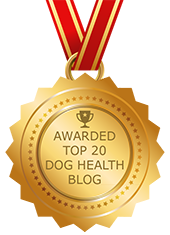 Even with a rapid assessment by the owner and treatment by the veterinary team, xylitol toxicity cases do not always end as happily as Matilda's case! Even if they are, often much more intensive therapy is needed than that which was needed to save Matilda. Xylitol ingestion can be rapidly fatal due to insulin release and the resulting hypoglycemia (low blood sugar). It can also cause a more chronic liver failure that can be fatal. Life-saving treatment often includes intravenous fluid with dextrose (to combat the low blood sugar), supportive care and liver protectants. If the pet is showing clinical signs, intensive round the clock veterinary monitoring is often needed until the pet is clinically normal and all blood parameters are normal. Xylitol toxicity seems to be dose dependent, but such a small amount is needed to cause medical problems, including fatalities, that any ingestion is a medical emergency. Matilda ate a few pieces of gum and was treated immediately, and her blood sugar was already dangerously low and probably still dropping! Good plan: Seek medical treatment immediately if you even suspect xylitol ingestion! Better plan: Keep all xylitol-containing products out of reach of pets. The best plan of all: To be completely safe, keep your home xylitol free! I would even recommend telling the manufacturers of xylitol-containing products that you are no longer able to keep their products in your home due to the severe danger they pose to dogs. Matilda now enjoys a xylitol-free household and has not had any further medical emergencies to date. Dr. Shawn is a veterinarian and mom in Omaha Nebraska. She writes for CareFRESH, Life With Dogs (new!) and Omaha.net. 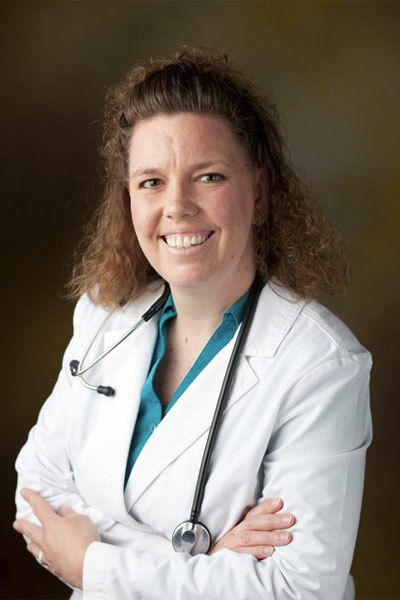 Dr. Shawn graduated from Iowa State University Veterinary Teaching Hospital in 1998 with a Doctor of Veterinary Medicine (DVM) degree. She works part time at Banfield, The Pet Hospital of Papillion, seeing small animals: dogs, cats, rabbits, ferrets, rodents, birds, reptiles and amphibians. Her veterinary passions (besides her patients, of course!) are preventative/wellness care, pet owner education, positive reinforcement training and solving pet overpopulation. Keep Chewing Gum Away From Your Dog! Yikes! I knew it was bad stuff, but I think Shawn's idea to keep it out of the house makes sense. no need to invite trouble. Thanks for sharing this! yes it is a very bad stuff. What's not around can't hurt anybody. So keeping it out of the house all together is the safest sure-fire strategy. So... gum can kill your dog? Because my dog has gotten into gum plenty of times, eaten that stuff up, and never had a problem. Well, not the gum itself, but the xylitol if it's in there. So this applies to sugar-free gum. Yes, it can kill your dog. I guess your gum isn't sugar-free then?